Past few months have been busy for me with having and baby, but have still kept doing some weddings and my work going with Letspose Studios in Carthew near St Austell. Have even been the other side of the camera a few times, that doesn't happen very often. Recently we have been published after working with the lovely James Monroe as model and creating some stunning images, please see below. 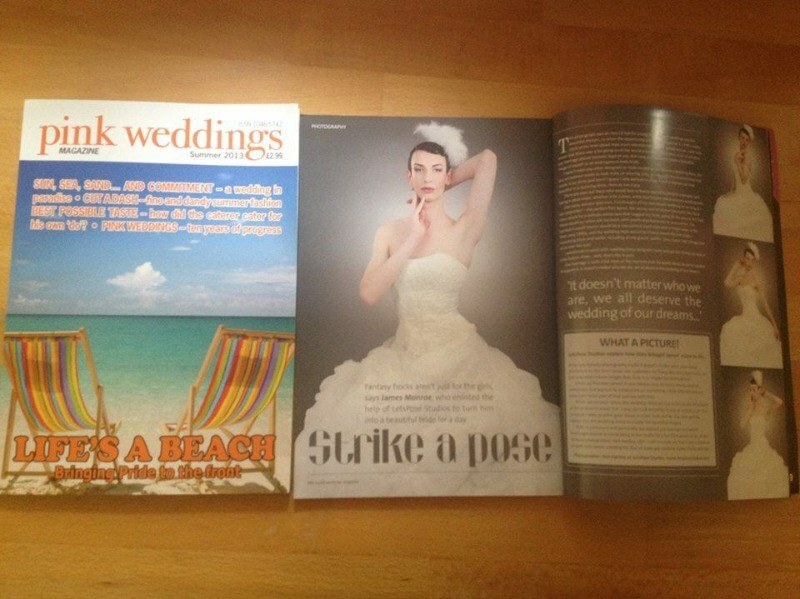 Frm these images we have been published in Pink Weddings Magazine and Equally Wed online gay wedding magazine.